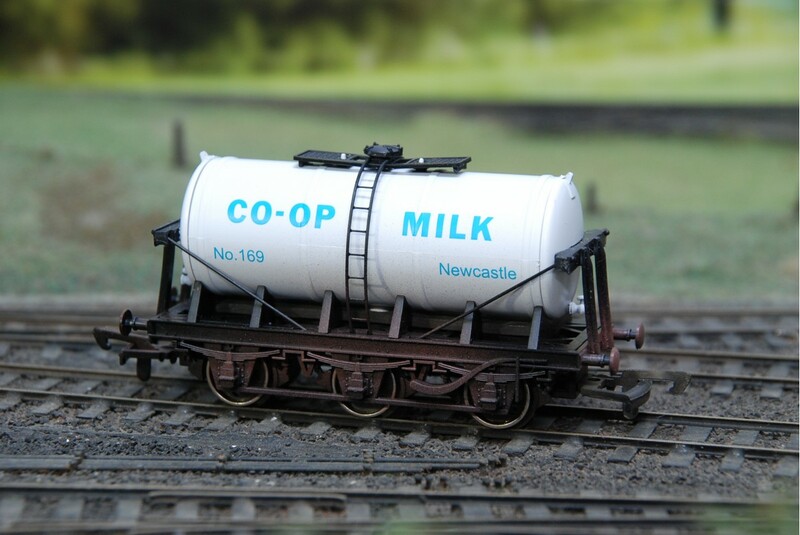 A 6 wheel milk tanker from Dapol with model number B654 sporting the CO-OP brand and number 169 Newcastle on the tank sides. 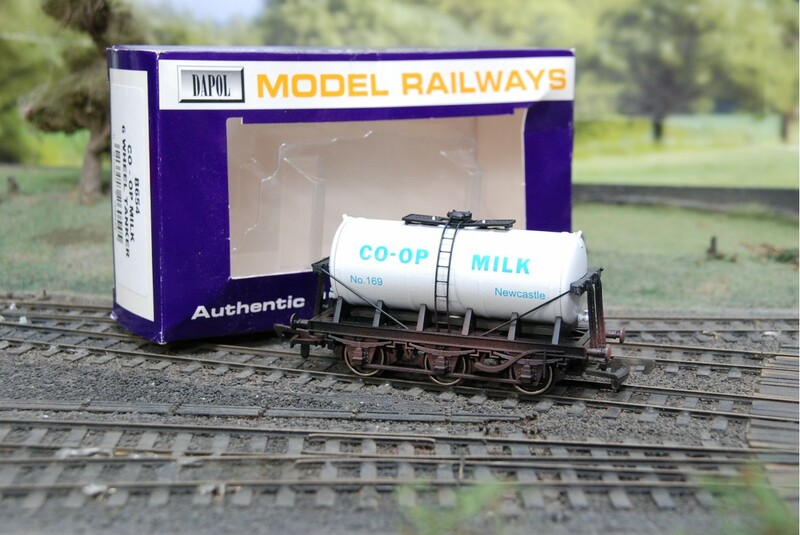 A detailed model milk tanker with some slight weathering to wheels and wagon base. 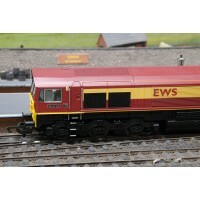 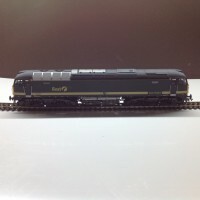 Produced by Bachmann Branchline, the 38-110 Shell 100 Ton TEA bogie tank wagon comes in grey with re..